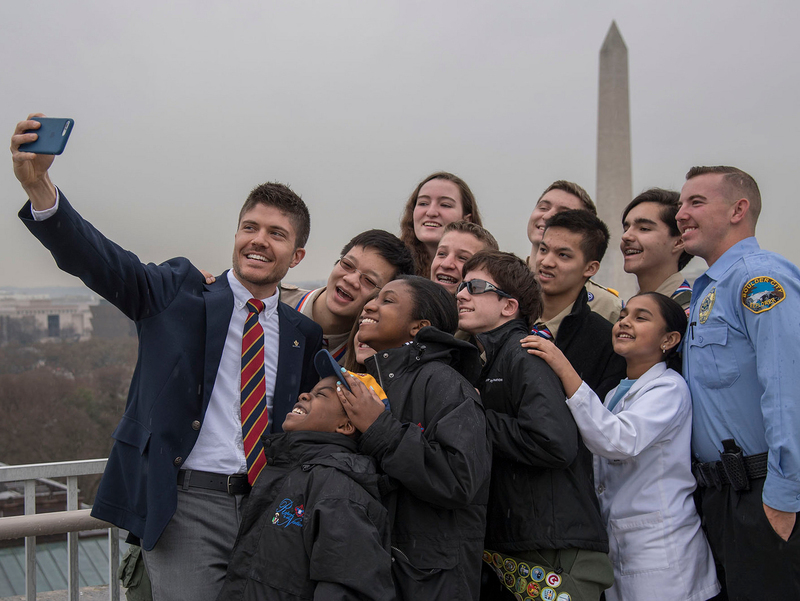 While representatives from the Boy Scouts of America toured the nation’s capital this week, guys and girls from Scouts Canada did the same — only 500 miles to the north. But in Ottawa, Ontario — Canada’s capital city — Tuesday was Scouts Day on the Hill, an opportunity for the red-clad Scouts to meet with politicians and dignitaries all the way up to Prime Minister Stephen Harper, pictured above. Scouts Canada — our northern neighbor, fellow World Organization of the Scout Movement member, and co-host for the 2019 World Scout Jamboree — has 100,000 members nationwide, including boys and girls age 5-26.